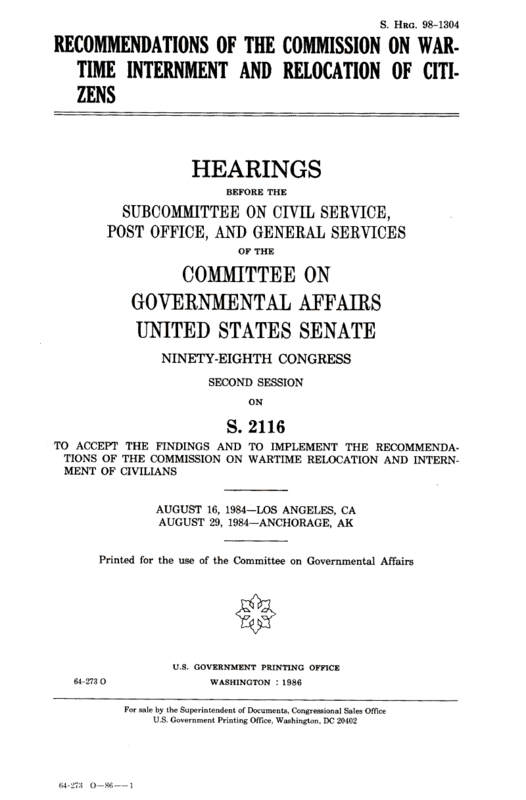 Document Notes: Testimony of Senator S. I. Hayakawa, a ditinguished University of San Francisco professor and president and former U.S. Senator who happened to be a Japanese American. A clear exposition on the evacuation and subsequent redress movement.